Vietnam and Singapore should further strengthen cooperation to stand prepared for AEC, TPP, heard at the Vietnam-Singapore Business Forum (VSBF) 2016 held in Ho Chi Minh City. The event was hosted by the Vietnam Chamber of Commerce and Industry (VCCI) with the support of the Ministry of Planning and Investment, the Singapore Trade Development Board (IE Singapore), the Singapore Business Federation (SBF), the Singapore Business Association, and the Singapore Business Association in Vietnam (SBAV). Speaking at the forum, VCCI Vice President Doan Duy Khuong affirmed that Vietnam and Singapore have established strategic partnerships, created two national platforms, and helped Vietnam improve competitiveness and participate in the global economy. Singapore has been present in most economic sectors in Vietnam, from oil and gas exploration and production industry to agriculture, forestry and seafood processing, especially infrastructure, services and real estate. Dr Khuong emphasised that VSBF 2016 is an important event to deepen good cooperation relations between Vietnam and Singapore in various fields, especially after the two countries agreed to strengthen their strategic partnership in 2013. This is also a business promotion activity and an international economic integration accelerator against the backdrop of new contents when both countries join the Trans-Pacific Partnership (TPP) and the ASEAN Economic Community (AEC). Sharing this point of view, Mr Dang Xuan Quang, Deputy Director of Foreign Investment Agency (FIA) under the Ministry of Planning and Investment, said that although Vietnam's economic growth showed down in the first six months of 2016 (up 5.52 per cent, compared with 6.32 per cent in the same period of last year). However, the overall economic picture of Vietnam still has many positive signs. In the first six months of 2016, the nation had over 54,500 new business start-ups with a total registered capital of VND427,800 billion, up 20 per cent in companies established and 51.5 per cent in registered capital. It also saw over 14,900 companies resume operations in the review period, up 75 per cent year on year. This is an important foundation for the continued expansion of bilateral cooperation. He said, Vietnam and Singapore can expand cooperation in various fields in the upcoming period. The latter has capital while the former has natural resources and human resources. Currently, the Government of Vietnam is attracting high-tech investment projects, environment-friendly projects and processing projects. Vietnam even has a decree on public-private partnership (PPP) model to encourage private enterprises to invest in infrastructure. Ms Leow Siu Lin, Singaporean Consul General in Ho Chi Minh City, said, Vietnam is an attractive destination to many Singaporean investors. They regard Vietnam as an attractive investment destination with a young population, abundant skilled labour resources and a big market in Southeast Asia. By the end of June 2016, Singaporean companies invested more than US$9 billion in 847 projects in Ho Chi Minh City, focusing on logistics, services and real estate. Big Singaporean companies have made business presence in Vietnam, including Mapletree and Keppel Land. In addition, Singapore has invested over US$8 billion to build seven Vietnam - Singapore industrial parks (VSIP). Meanwhile, Vietnam is the 11th largest trade partner of Singapore in 2015. Currently, Singapore is quietly seeking new business opportunities. Ms Koh Chong Yu, Director of the Singapore Trade Development Board, (IE Singapore) in HCM City, said not only Singaporean companies but foreign companies headquartered in Singapore always want to expand to other countries in Asia. Singapore companies expect to cooperate with Vietnam partners in such areas as services, oil and gas, tourism in which Vietnam has great potential. At the same time, Singapore wants to support Vietnamese companies to join global supply chains, especially when both nations join in the Trans-Pacific Partnership (TPP). According to economic experts, Singapore is an important bridge to lead investment capital from third countries into Vietnam. It has thousands of national companies with global business networks. Getting connected with Singapore, Vietnam can receive global effects. In addition, the close cooperation with Singapore brings valuable experience in State management, technological development, scientific application and modern education. Singaporean logistics companies have extensive experience in logistics development and supply chain management. With its geographical location and strategic determination of its government, Singapore has been, and will be, the largest cargo transit hub in the world where global linkages are converging. Business cooperation in general and logistics cooperation in particular will benefit both parties. 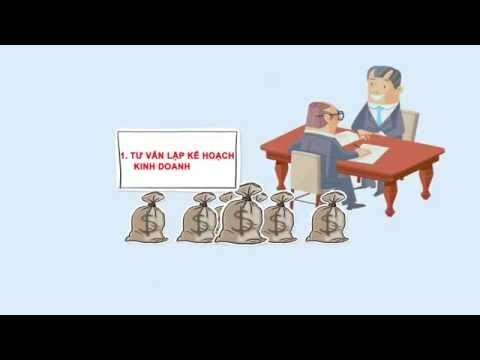 Vietnamese companies will save time and costs, have the opportunity to learn and share experiences, and enhance competitiveness with cooperation while Singaporean businesses will have the opportunity to access the market and reduce market penetration time, increase the competitiveness on economies of scale, increase strength and credibility with third parties. In addition, the cooperation between the two countries will enable Singapore to develop into a logistics hub of the region and the world.